We don’t just supply Christmas trees to your home! From our farm, we can offer trees up to 35ft tall, creating a phenomenal and heartwarming display anywhere from shopping centres, schools, churches and businesses. With our expertise in creating the perfect Christmas display and a wide range of accessories available, we can assist you in every step of the installation. 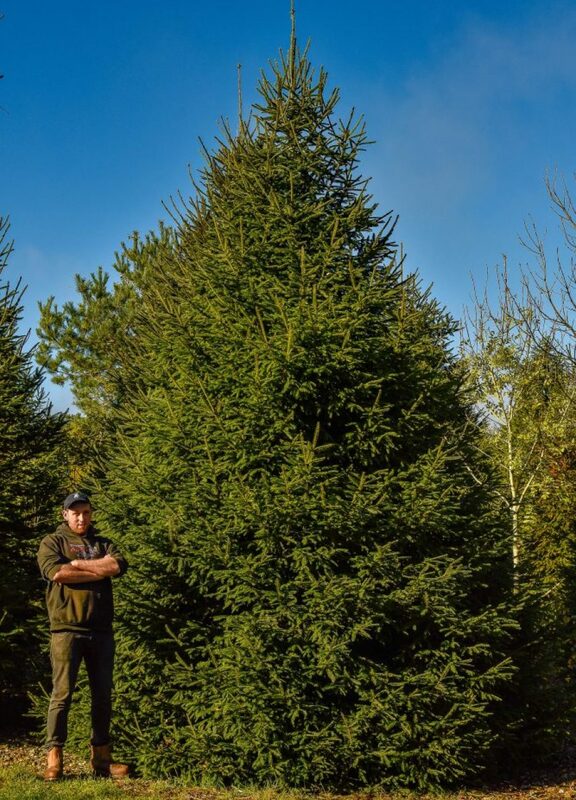 When you choose a tree from G.I Rogers & Son, you can be assured of the best quality right through the season. Every tree is grown with us and then hand selected for health, shape and fullness. We take pride in producing stunning trees and in the sustainability of our farm: for every tree that you buy from our farm, another tree is replanted. We prune each tree yearly so from 3ft to 35ft, you can be assured of its perfection. We also offer the ultimate in convenience. Whether it’s a tree for your home or a commercial display, we can deliver right to your door or the place of installation. If you’re within a 15-mile radius of the farm, we can expertly pack and deliver your tree in immaculate condition. This includes areas such as Berkhamsted, Hemel Hempstead and Aylesbury. As well as this, we offer a range of corporate services. These include supplying decorated trees for any kind of indoor or outdoor use including tree, stand, lights and installation services from our talented and experienced installation and decorating team. We can also install garlands on the exterior and interior of buildings and can supply custom lengths and designs. We also provide a delivery service to anyone within a 15 mile radius of HP4, so be sure to get in touch today to arrange your delivery for Christmas (delivery charges apply).